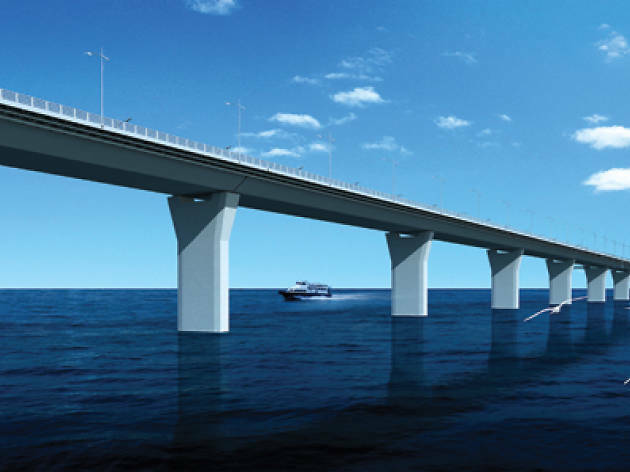 Hong Kong - Zhuhai - Macau Bridge: Will the benefits outweigh the costs? Worldwide icon-chevron-right Asia icon-chevron-right Hong Kong icon-chevron-right Hong Kong - Zhuhai - Macau Bridge: Will the benefits outweigh the costs? Can 50km of concrete, steel and tarmac bring greater integration within thePearl River Delta region, revive Hong Kong’s flagging economy and spur the city on to greater financial heights? That’s the question most people have asked about the Hong Kong-Zhuhai-Macau Bridge, which is scheduled for a grand opening in 2016. 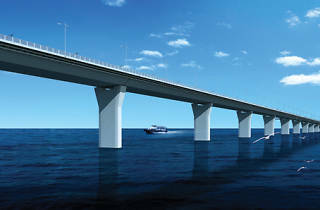 After all, advocates for the project have for many years now championed the structure as an economic saviour, a tourism booster and the most effective connection in the Pearl River Delta region. Find out more about the plans at hzmb.hk.